How The Last Jedi Fixes Star Wars; Yes, I Said It. I wrote before that I believe Star Wars: The Last Jedi redeemed the franchise in several important ways. This is a complicated topic, but I want to try to give you an outline of my thoughts. To talk about The Last Jedi “redeeming” Star Wars, I’m speaking in the context of a little book called Star Wars on Trial by David Brin (and his other writings on the subject), in which he levels some pretty serious criticisms against the franchise, not least by calling Yoda the true villain of the series. Brin is one of my favorite authors, but you have to understand when delving into his essays that he is wildly anti-Romantic (the intellectual movement of Romanticism, that is), and what he would probably call anti-feudalist. Personally, I think he goes a little too far the other direction, but he makes some good points. The Politics of Star Wars Are Anti-Democratic and Elitist. While Claiming Mythic Significance, Star Wars Portrays No Admirable Religious or Ethical Beliefs. Elites have an inherent right to arbitrary rule; common citizens needn’t be consulted. They may only choose which elite to follow. “Good” elites should act on their subjective whims, without evidence, argument or accountability. True leaders are born. It’s genetic. The right to rule is inherited. Justified human emotions can turn a good person evil. And…when you think about it, he’s right! A more famous example of this same problem is Yoda’s line in Episode I, “Fear leads to anger. Anger leads to hate. Hate leads to suffering.” There is some wisdom in this line. A fair amount of our world’s history can be summed up in it. But to say it unqualified, especially to the then nine-year-old Anakin, is nearly as corrosive as Lucas’s tone-deaf philosophy on “attachment”. The elitism of Star Wars is harder to pin down. The prequels espouse a firm commitment to democracy and liberty (which by Episode III became, for better or worse, a pretty heavy-handed critique of the Bush administration). And both the original trilogy and the new sequels take a pretty strong line against the evil Empire. But the fact remains that the Jedi are people born with a rare and powerful and apparently genetic gift who are given great authority (albeit after years of training) that ordinary citizens do not and cannot have. Brin equates this with the Romantic hero (which Lucas pretty explicitly based Luke on), who is just better than everyone else, and this is seen as good and right. The Last Jedi, I thought, addressed all of these issues and in large part fixed them—not entirely by any stretch. Movies still need to have heroes, or at least protagonists. But it fixed some of the worst parts of the old movies. Luke talks about Kylo Ren having “that mighty Skywalker blood,” but this is subverted at the end when we learn that Rey is nobody. No relation to the Skywalkers, and no special heritage despite her great power (assuming Kylo wasn’t lying). We still have the problem of Force users being rare people born with special gifts, but we’ve at least undermined the dynastic Skywalker family. It’s the nobodies—the common people—who now determine the fate of the galaxy. As Scott Daly of The Daly Planet Podcast (which I recommend) said, the message of The Last Jedi is that the Force isn’t just for the Jedi and the Sith anymore. The Force is for everyone. We see that with Rey, but the idea comes together even better at the end when we see one of the poor stable children on the casino world casually use the Force to pick up a broom. That’s a bigger deal than it sounds because a Jedi would never stoop to using the Force for something so mundane. Anakin even makes a point of saying so in Episode II. This is a sign of a major sea change. The elitism of the Jedi Order and the corrosive values of the Jedi religion—what Brin calls “kitschy pseudo-Zen”—are also hit hard in the new film. From the start, Luke calls out the elitist hypocrisy of the Jedi Order, their failure to stop the rise of the Sith, and their vanity in thinking they are the only guardians of the Light. He says that it’s time for the Jedi to end, and Yoda actually agrees with him! True, the ending is ambiguous, with Luke saying Rey would carry on the Jedi legacy and showing that she had apparently stolen saved the sacred Jedi texts, but we can at least see that the new Jedi, if we can even call them that, will be going through a much-needed reform. This is why I believe that The Last Jedi fixes what was wrong with Star Wars. Because while I don’t fully agree with Brin, I do agree that the series was sending some very troubling messages, especially with the prequels, and the newest installment just took some big steps in the right direction. This entry was posted in Movie Reviews, Philosophy, Science Fiction and tagged David Brin, Star Wars, Star Wars on Trial, Star Wars: The Last Jedi. Bookmark the permalink. 1 Response to How The Last Jedi Fixes Star Wars; Yes, I Said It. I’m glad somebody brought this up. 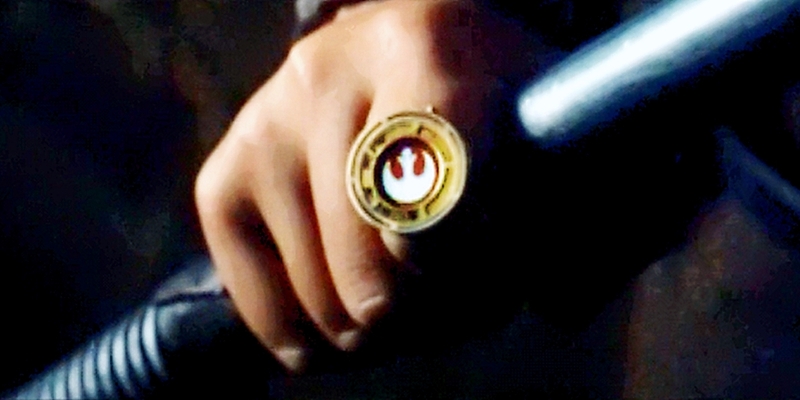 From Rose’s message to Luke & Yoda’s opinion on the Jedi order, to Rey’s “unimportant” heritage (I’d make the claim that she’s just as important as the Skywalkers or perhaps even moreso b/c of what she represents), to the stableboy’s casual use of the Force… Episode VIII *really* turns Star Wars on its heels, morally speaking. The franchise has always been a grear one. It has, from the start, been a frontrunner of iconic lines of dialogue, intricate characters, grand storylines… not to mention what it did for special effects & marketing in general. But there really HAS been an unfair romanticism of Luke, the Jedi, & even the Force. Ie always wanted Han & R2 to be better recognized as the heros they are. Three cheers for The Last Jedi for giving more credence to the little guy.